Done my junior year of High school. I am from New Orleans and had to move to Baton Rouge after Hurricane Katrina and this was my tribute to the city's rich Jazz culture, its style, and the city itself. 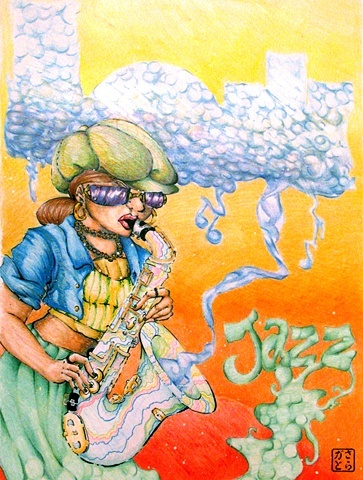 The saxophone is modeled after one I own and the bubble-y cloud is the silhouette of New Orleans.